Texas is now surrounded by states that no longer prohibit access to cannabis for patients with their doctor’s recommendation. Oklahoma is arguably one of the most conservative states in the US and voters have sent a very clear message: It’s time for a change! This move by our northern neighbors adds to the momentum of advocates who want to see Texas’ unreasonably restrictive Compassionate Use Program made more inclusive. This measure amends the Oklahoma State Statutes. A yes vote legalizes the licensed use, sale, and growth of marijuana in Oklahoma for medicinal purposes. A license is required for use and possession of marijuana for medicinal purposes and must be approved by an Oklahoma Board Certified Physician. 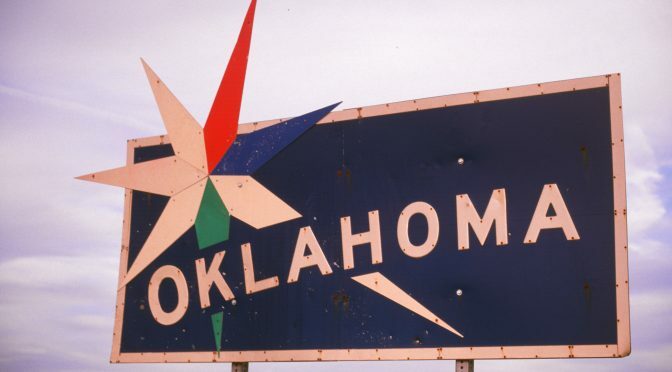 The State Department of Health will issue medical marijuana licenses if the applicant is eighteen years or older and an Oklahoma resident. A special exception will be granted to an applicant under the age of eighteen, however these applications must be signed by two physicians and a parent or legal guardian. The Department will also issue seller, grower, packaging, transportation, research and caregiver licenses. Individual and retail businesses must meet minimal requirements to be licensed to sell marijuana to licensees. The punishment for unlicensed possession of permitted amounts of marijuana for individuals who can state a medical condition is a fine not exceeding four hundred dollars. Fees and zoning restrictions are established. A seven percent state tax is imposed on medical marijuana sales. A “YES” vote is a vote in favor of this measure. A “NO” vote is a vote against this measure.